Producer Robert Chartoff passed away last Wednesday, June 10, and left quite a legacy, nearly 40 films, a list that includes They Shoot Horses, Don’t They?, the Charles Bronson thriller The Mechanic, The Gambler (both 1974 and 2014 versions), Rocky, Raging Bull, and The Right Stuff. 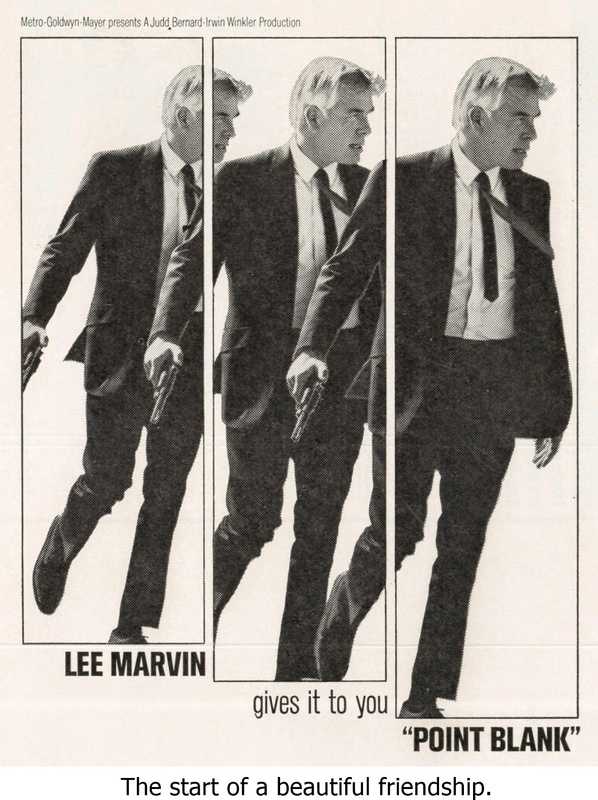 His first credit was on John Boorman’s classic revenge neo-noir Point Blank. It was the start of a lifelong friendship. The pair collaborated two more times on the director’s 1970 comedy drama Leo the Last and his 2004 drama In My Country. Boorman also dedicated his last film, the recent Queen and Country, to his old pal. It wasn’t purely an act of sentiment, but an acknowledgement of Chartoff’s importance as a friend and collaborator, as well as a thank you. Without an act of kindness and generosity on Chartoff’s part, Queen and Country might not exist. The subject came up during an interview with Boorman for a piece that ran in the San Francisco Chronicle. Why the dedication? Why now, nearly 50 years since their first collaboration? “Bob’s been a dear friend for 40 years and more,” Boorman said. “We see each regularly. We talk on the phone at least once a week. I’m very devoted to him. One of the standouts from this year’s Sundance Film Festival, where it won the Alfred P. Sloane Feature Film Prize and the Waldo Salt Screenwriting Award is Kyle Patrick Alvarez’s The Stanford Prison Experiment, a riveting drama based on a real-life psychological experiment. Twenty-four young men are assigned to be either prisoners or guards in a pretend jail on the Stanford University campus where play-acting and reality quickly begin to blur. Billy Crudup is the ambitious professor who designed the experiment, starring alongside a kind of supergroup of up-and-coming talent that includes Ezra Miller, Michael Angarano, Tye Sheridan, James Frecheville, Thomas Mann, Moises Arias and Chris Sheffield. Coming in December! Who knew that Santa worked at Warner Bros.? A little-known moment from contemporary British history steps into the spotlight with Pride. In 1984, as U.K. coal miners strike in a showdown with Prime Minister Margaret Thatcher, they receive support from an unexpected quarter: gay and lesbian activists. Director Matthew Warchus’ comedy drama limns this unusual alliance in a film that stars Bill Nighy (The Best Exotic Marigold Hotel, Pirate Radio), Dominic West (The Wire), Paddy Considine (Submarine, The World’s End), Andrew Scott (Locke), Sherlock‘s Moriarty), and Imelda Staunton (Maleficent, Another Year. This CBS Films release opens stateside on September 19. George Miller’s last three movies were Happy Feet Two (2011), Happy Feet (2006), and Babe: Pig in the City, but back in the late 1970s and 1980s, the director made his bones with a trilogy not so family friendly. Not by a long shot. Mad Max (1979), Mad Max 2: The Road Warrior (1981), and Mad Max Beyond Thunderdome were action movies with brains in their collective portrait of a horrifying future dystopia where mere survival is a day-to-day battle.